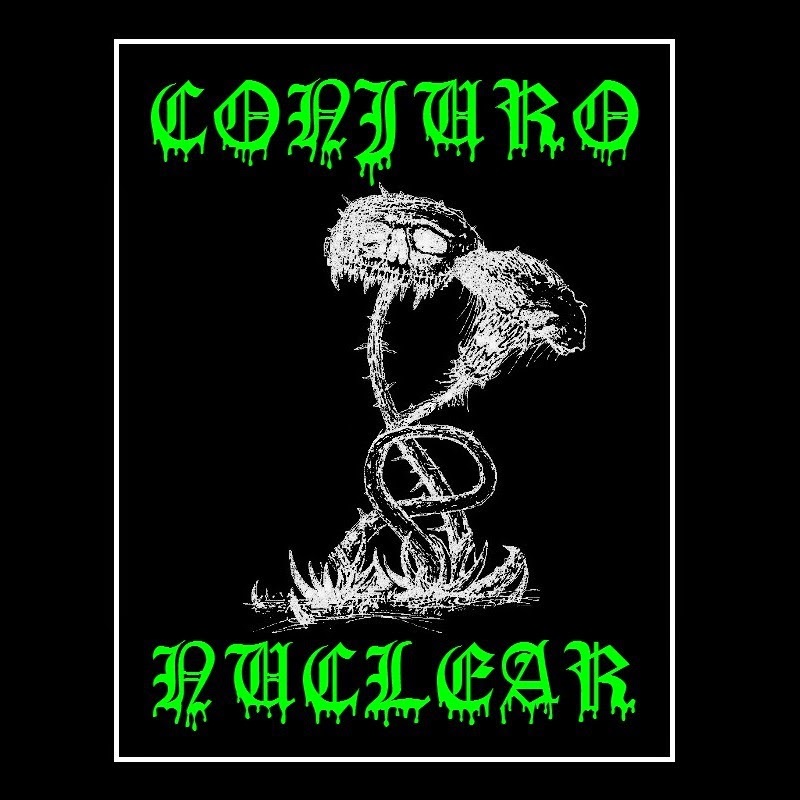 From Barcelona Spain comes Conjura Nuclear with their self-titled debut album. I believe dark ambient black metal would be a fine genre to describe them. Although my knowledge about black metal is pretty limited, I completely love the instrumental parts in the intro, it has an amazing industrial feel with the black metal darkness overlapping the whole. There is little to be found about the band, but the band consists out Emesis who does the synthesizing, guitars, drums and the vocals by himself. In all the songs are simplistic but incredibly dark and really atmospheric, it gives a perfect dark ambient vibe and does what it's supposed to do. The tracks itself aren't that long and the album only lasts thirty two minutes, but it's enough to enjoy yourself with a package of dark industrial music. Divinorum even adds a bit of punk to the album. For the fans of industrial and black this is a great pick-up for you. Most of the songs are instrumental with a little bit of vocals here and there, but in all it feels as Depeche Mode gone dark, and I love it.